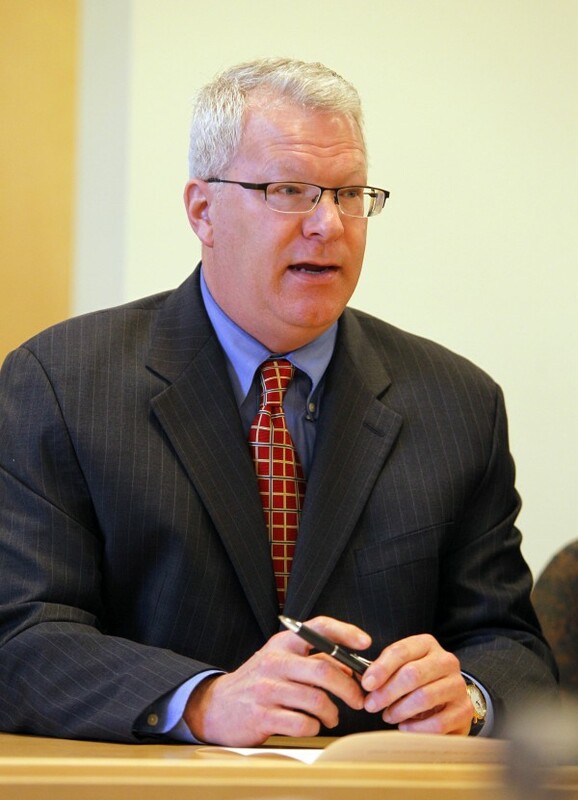 PORTLAND, Maine – Paul Violette, the former director of the Maine Turnpike Authority who resigned in March amid scrutiny of the agency’s finances, has settled a civil lawsuit by agreeing to pay back damages totaling $430,000. The reimbursement agreement was announced Thursday by Peter Mills, the new MTA director, and Daniel Wathen, the MTA board chairman. The settlement total represents the amount of money that could have been proven if the matter went to trial and is equivalent to Violette’s current net worth. “We have recovered the money to which we are entitled and plan to reinvest it back into turnpike operations,” Wathen said in a statement. Under the agreement, Violette is responsible for repaying $155,000. The rest will be split by two bonding companies, Travelers Casualty and CNA Surety. “The resolution was complex and required a high level of cooperation from all parties,” Mills explained. Violette’s attorney, Peter DeTroy, was not immediately available for comment on Thursday and did not return a call by late afternoon. Violette stepped down in March after a report from the Legislature’s Office of Program Evaluation and Government Accountability found discrepancies in the turnpike authority’s spending. The report concluded that Violette spent hundreds of thousands of MTA dollars on personal trips and non-MTA related business that he could not account for. Specifically, Violette is suspected of questionable spending practices, including the purchase of $150,000 in gift cards to posh hotels and restaurants, some of which he reportedly used himself, some of which were donated to other organizations unrelated to turnpike business. On one day, Violette purchased more than $35,000 worth of gift cards to Hyatt hotels, according to the complaint. On another, $10,000 was spent on Hyatt gift cards. A few days later, $15,000 worth of Fairmont hotel gift cards were purchased. In addition to the alleged abuse of gift cards and agency credit cards, the lawsuit claims Violette was paid for $160,000 in vacation and sick time to which he was not entitled. The lawsuit further alleges that Violette acted with malice because he knew his conduct would cause harm to his agency. The MTA’s board filed a lawsuit against Violette in July with the hope of recouping most of that misappropriated money. He still faces possible criminal prosecution by the Maine attorney general’s office. The Maine Turnpike Authority is responsible for management of more than 100 miles of interstate from Kittery to Augusta. The agency employs 470, collects approximately $100 million in tolls every year and is overseen by a seven-member board whose members are appointed by the governor. Violette had run the turnpike authority since 1988, but the allegations of financial wrongdoing date back only about eight years. The OPEGA investigation into the longtime director also led to increased scrutiny of the turnpike authority as a whole, but since Mills has taken the reigns, a number of reform steps have been taken. Correction: An earlier version of this story said Paul Violette, former director of the Maine Turnpike Authority, was fired. Violette resigned.